Learn how over 4,500 veterans control their destiny by owning their own franchise business. Our #1 goal is to help you build a secure future for you and your family. 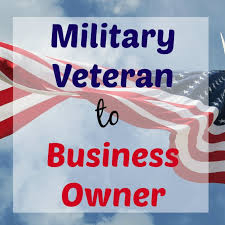 Your service to your country has earned you benefits that can be applied to starting your own franchise business. 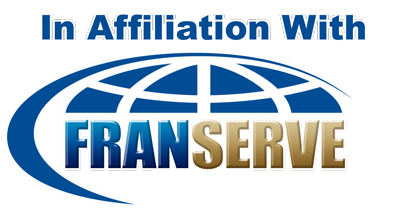 Hundreds of franchise companies are available with discounts on initial fees and/or other special financing options to armed forces veterans. Do you qualify for franchise ownership? Great leadership skills allow owners to develop solid growth, motivate their employees and deliver strategies impact the success of the business. Veterans provide a selfless brand of leadership that inspires dedication and loyalty. Members of the military are often more prepared to take on the responsibility of supporting the numerous needs of their business and staff. Their leadership decisions impact the well being and attitude of their team members. The truth is working for yourself means nobody is looking over your shoulder to ensure that you stay focused. Business owners are often wearing many different hats and need high levels of discipline to stay on target and accomplish everything a growing business requires. 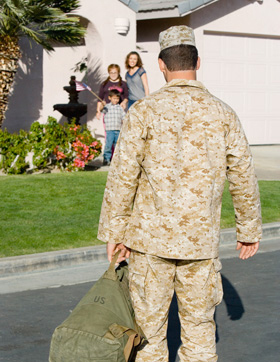 Discipline is one of the first qualities that come to mind when people think of military veterans. Applying this discipline on a consistent basis can translate to greater productivity and faster growth. As important as teamwork is many business owners struggle to communicate and relinquish control. With teamwork being a key component of military culture, veterans have a clear advantage in this area. Members of the military train and carry out their duties within a group. Their success often depends on how well the team performs. Bringing this attitude to a business creates stronger bonds and encourages higher levels of performance among other team members - all of which leads to better results. Pressure is a reality for new business owners. They have to act to emergencies, delegate tasks, and make quick decisions that channel the business in a particular direction. Many military veterans have faced the highest levels of pressure and responsibility, so they're often well equipped to handle the stresses of entrepreneurship while remaining functional and effective. Most business owners will say they had to make sacrifices especially during the early phases. Indeed, it is almost always a part of the roadmap to success. Entrepreneurs may feel overwhelmed at having to give up some of their social lives or quality time spent with family members to get the business up and running. Sacrifice is a central aspect of military service. Some veterans were stationed far away from their families, others relocated frequently and some faced the possibility of making the ultimate sacrifice. Making sacrifices to ensure the success of their business seems minor in comparison. These are just a few of the major strengths former military members have when pursuing entrepreneurship through franchise ownership. Each veteran's experiences and perspectives give them a unique set of tools for turning their business aspirations into successful ventures. We look forward to helping you turn your dream into a reality. Request your Free Franchise Consultation!